How many quarries on Bennachie? We have a Lintel Quarry on Little Oxen Craig, the English Quarry at Pitgaveny and the Macaulayite Quarry at Rowntree, which by the way is the only known place on the planet that this mineral exists. The only other place it may occur is on Mars! Granite is the product of Bennachie in its many forms of feldspars and smoky quartz (Cairngorm), 400 millions years old, ideal for local building purposes and further afield to help build Sheerness Docks among other things. These are mainly “known” quarries. Bennachie is studded with smaller quarries also, some known simply as “borrow pits” for path and road repairs. 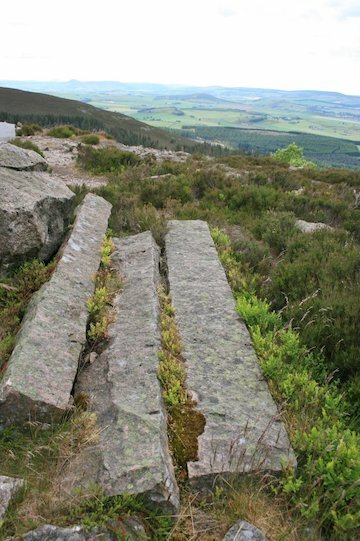 On inspection anywhere that stone appeared on the surface has been fair game for extraction – there are more of these “pits” on Bennachie hidden under the heather to be found before a true picture of the value of Bennachie can be assessed for quarrying in the northeast of Scotland. 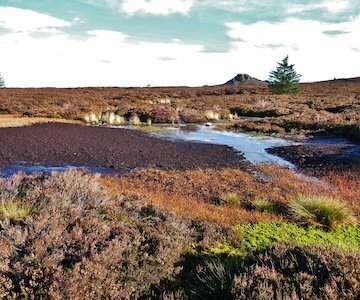 How much peat on Bennachie? We can say there is considerably less than there used to be. Bennachie has been used for peat collection for hundreds, maybe thousands of years. Much has been removed leaving the landscape that we see today. 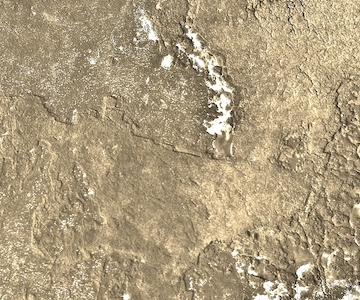 There is plenty of evidence of this land-use still to be seen especially on the plateau between the tors. The accompanying aerial photograph shows the chip-key pattern left by the banks and peat-heads that are slowly being swallowed up by the ever-encroaching heather. 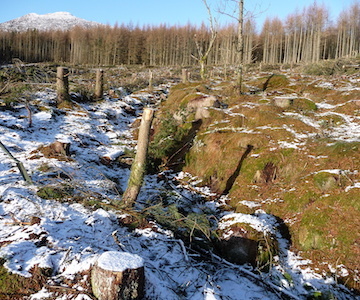 Since peat extraction ceased nature has taken over the plateau and peat coring by the University of Aberdeen has shown that in places it still survives to a depth of nearly 5 mts. In the past Bennachie meant much more than just a day out. To many it was a working landscape that provided materials for building and for heating their houses, and not so long ago for their very livelihood, a place to build their houses, grow their crops and feed their animals. The paths people tread today are waymarked and easily followed from carparks to hilltop viewpoints. In the past they were trod by people with more practical aims, lifting and transporting stone, cutting peat for fire, fertilizer and insulation. The very earliest was probably the “Maiden Causeway” which is believed to be associated with the fort on Mither Tap. If this proves to be the case its construction could go back to the Picts or beyond. Since then animals both wild and domestic will have left their mark on Bennachie as well as man who would be using the top of Bennachie for his own use. 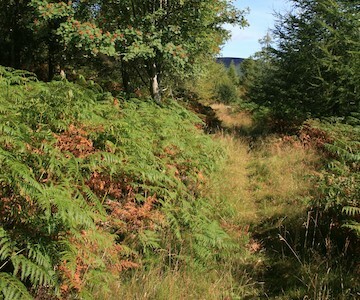 These paths and routeways have now faded and are buried under heather and bracken, but they are still there to be rediscovered and for us to follow. Not this time for stone and peat, but to retrace the history and lives of those people that came before. 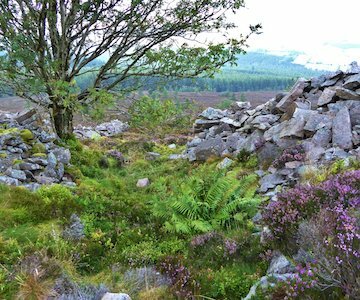 Please see more details on our Bennachie Landscapes Project section.